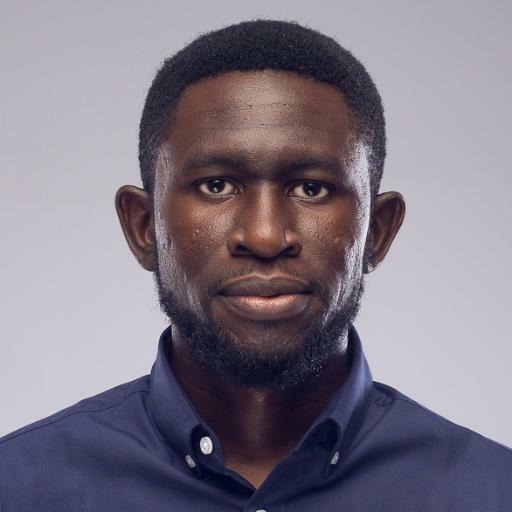 Host of My Africa Podcast and Co-host of Loose Talk Podcast, Osagie Alonge who dragged Wizkid on his recent episode of Loose Talk Podcast with Steve Dede, Ayomide Taiwo, simi who happens to be an intern and their sound engineer Leke, he tagged ‘What Is Your Shoe Size‘. 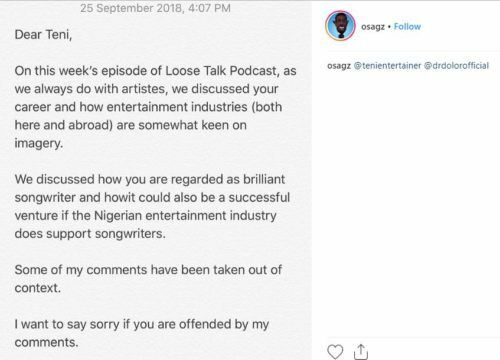 Has come out to apologise about the recent episode of the loose talk podcast he posted and later withdraw after his life, family and crew members were threatened. 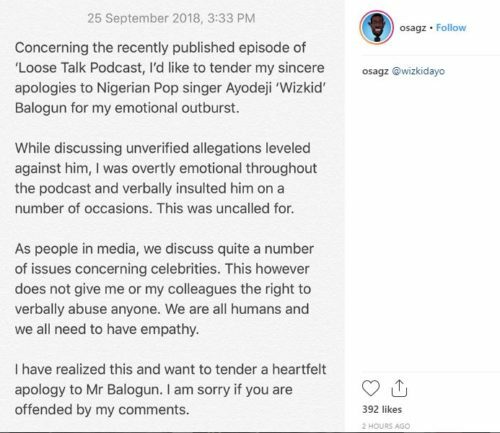 Osagie Alonge took to his Instagram to tender a public apology to Starboy for putting out unverified claims and allegation levelled against him and feels sorry of his doings, he always wrote to Teni the entertainer apologising to her that he never meant harsh as his messages were taken out of context.